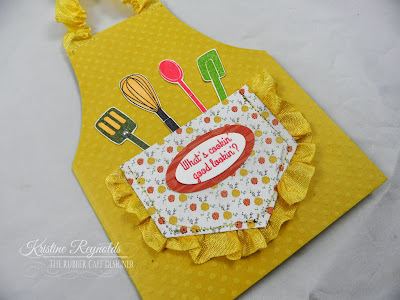 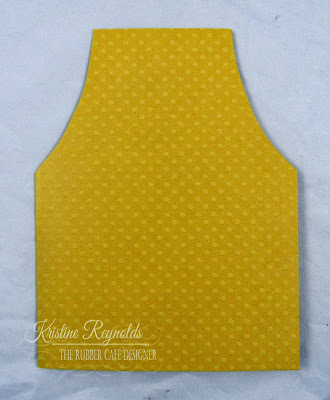 Today I am so excited to share with you a fun apron card that I made with the November Creative Cafe' Kit - Now We're Cookin'! 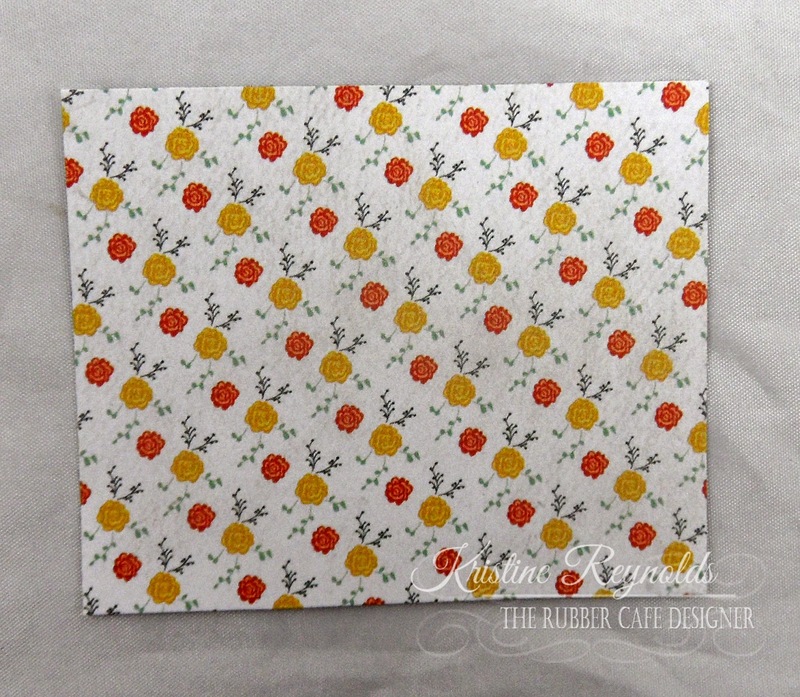 I started by folding a 5 1/2" x 8 1/2" piece of cardstock in half to create a side folding A2 card. 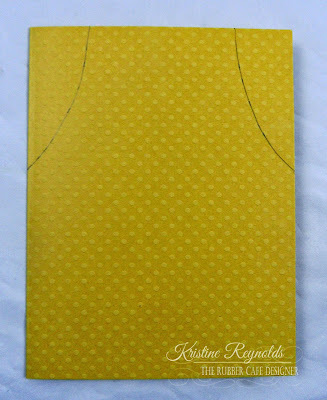 I drew cut lines on the top corners of the card. I cut along the hand drawn lines so that the card base looked like this. To create the pocket, I cut a 2 1/2" x 2 1/4" piece of patterned paper out. 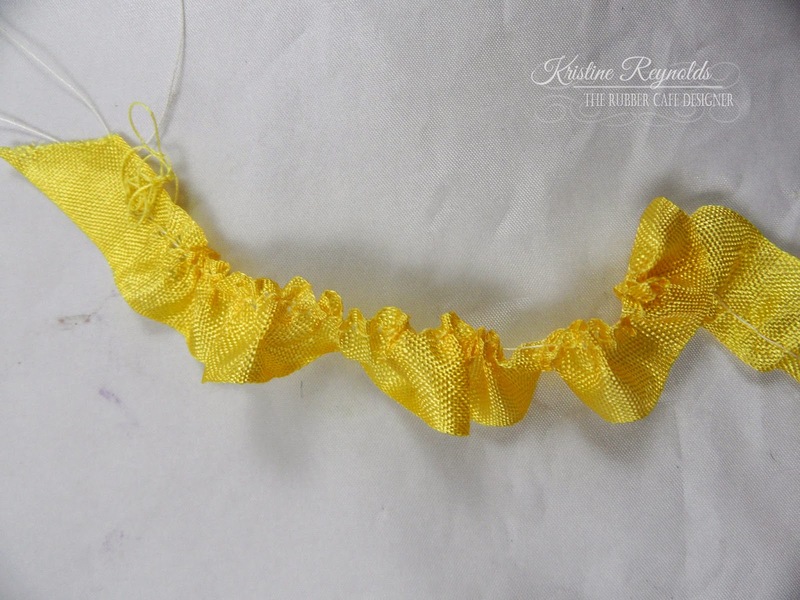 I trimmed the lower corners off so it looked like this. 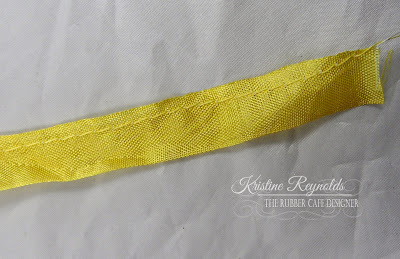 Then I took a long piece of yellow seam binding that came in the kit and ran it through my sewing maching using the largest stitch size. When you pull on the loose ends it gathers up into a ruffle. 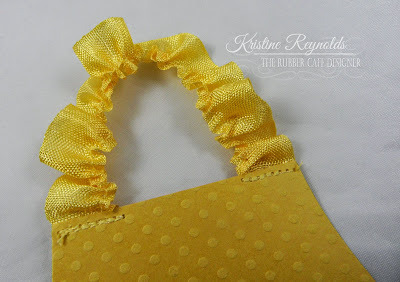 I sewed a portion of the ruffle to the top of the "apron". I adhered the left over ruffle to the back edge of the pocket panel with Scrap Happy Sheer Glue and allowed it to dry. 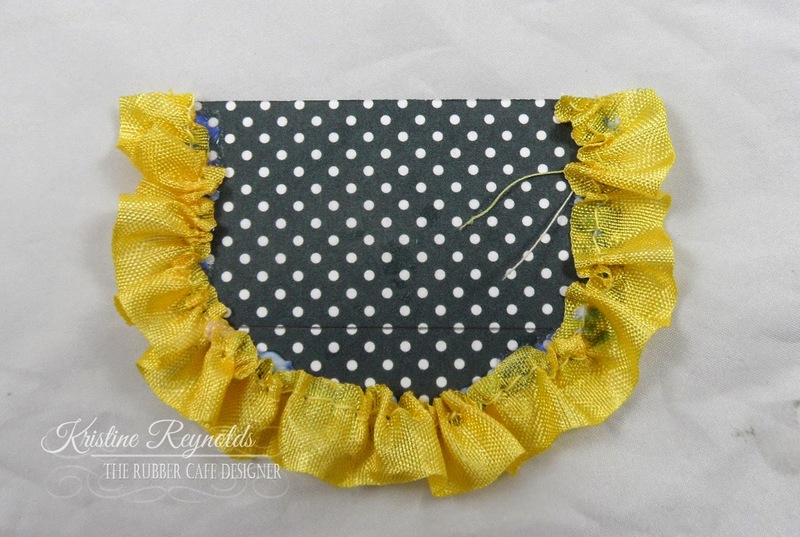 This is how it looks on the front side of the pocket. 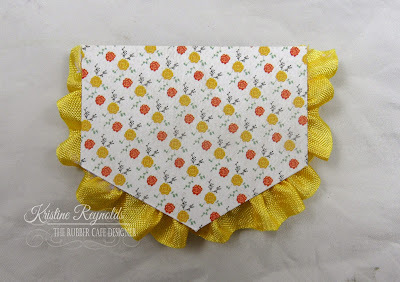 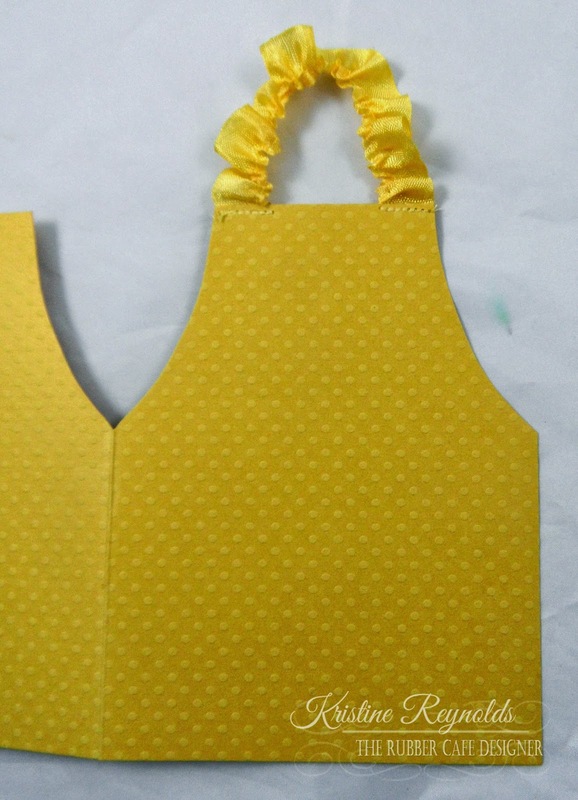 To finish the card, I sewed the pocket onto the front of the apron card. 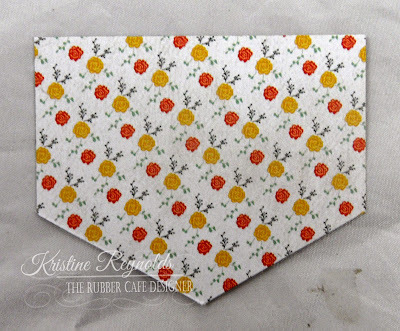 I stamped the sentiment on a white die cut oval with red ink and then backed it with a slightly larger patterned paper panel before adhering it to the front of the pocket panel with Scrap Happy Sheer Glue. The final touch was to stamp the utensils on a white scrap, color, cut out and add to the pocket. 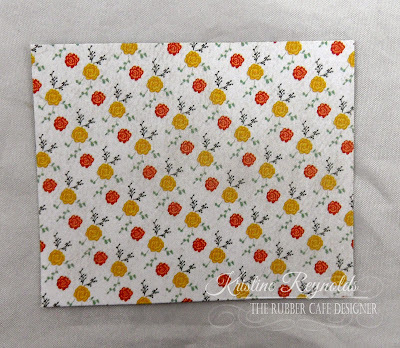 I hope you enjoyed my fun fold card today and that you'll give it a try! 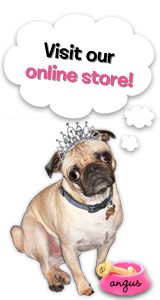 Stop by often to check out more amazing cards by the entire design team!